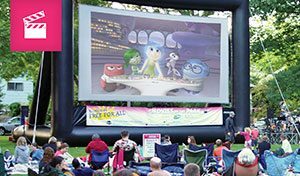 Now the real summer kicks in: concerts, movies, and theater in the park; the always fabulous Mississippi Street Fair, Bastille Day, and more! The 15th annual Mississippi Avenue Street Fair takes place Saturday, July 9, 2016 from 10 am until 9 pm on Mississippi Avenue from Skidmore to Fremont. One of the most festive and well-attended street fairs in town, the Mississippi Street Fair features five car-free blocks (plus the adjacent side streets), multiple stages of music and dance, hundreds of fantastic craft and food vendors, a Kids Zone, Grandfather’s Rib Off competition, and more! 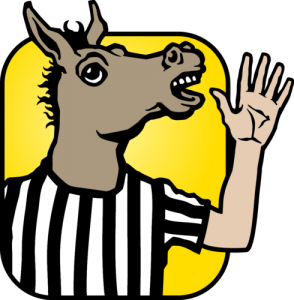 This year’s fair beneficiary is the Boise Business Youth Unity Project – Fosterinq a stronqer & community throuqh internships for teens. 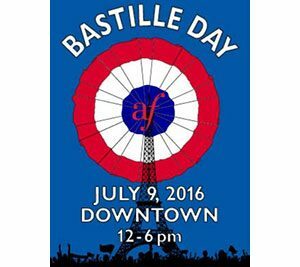 The Alliance’s 14th annual Bastille Day Festival takes place on Saturday, July 9, 2016, from noon-6 pm. The Portland festival is one of the largest Bastille celebrations on the West Coast. This year’s festival is celebrated for the second year outdoors at the Portland Art Museum across from the SW Park Blocks. And of course the Bastille Festival is free and open to the public! Look for fun activities for the whole family, including music, a photo booth, street performers, le marché (the marketplace), French cuisine, and the Spirit of Bastille Costume Contest. 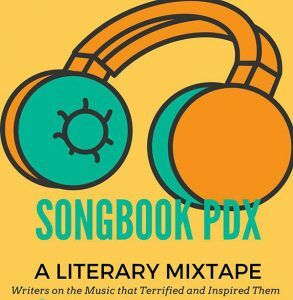 Songbook is a reading series comprised of reactions to writers and their own interpretations of songs whether horrid or ethereal. We hear the reader read the piece then we hear the piece of music played at the venue. It’s the literary mixtape you always wanted. July’s lineup includes: Liz Prato, Shannon Brazil, Shawn Levy, RV Branham, Hobie Anthony, Stephen O’Donnell, and Daniel Elder at Post 134, Alberta Street.